it's time for school camp again! That little pig is too cute for words. 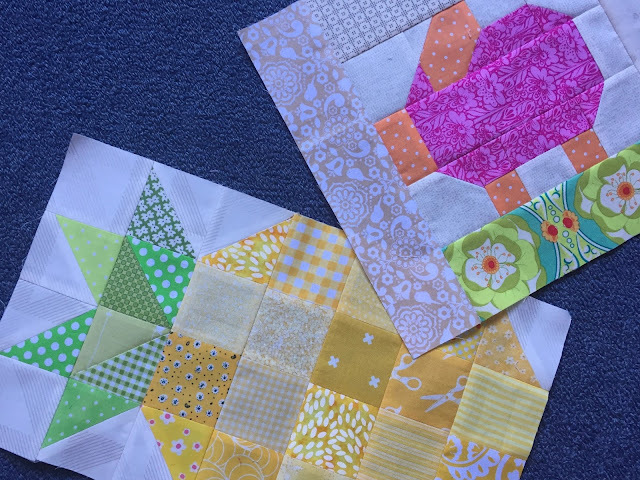 I think your sampler quilt is going to be very eclectic. 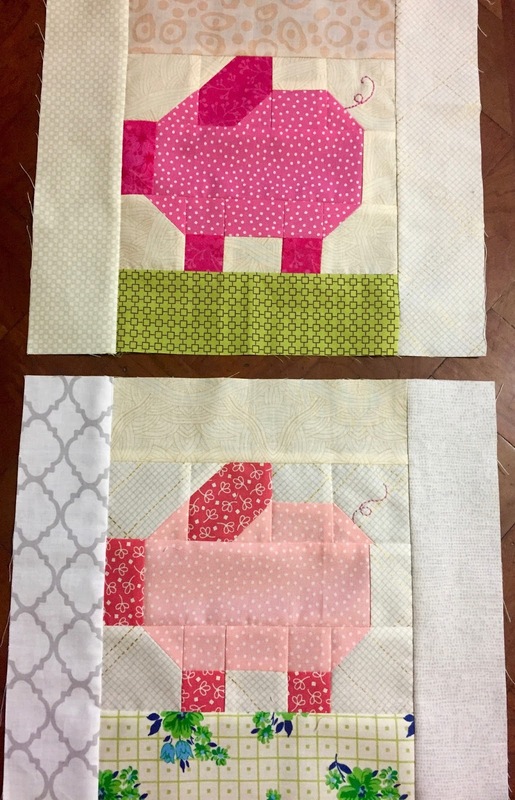 Pigs... pineapples... can't wait to see what shows up next! oh aren't these the cutest?! Very cute - ham and pineapple -perfect combination. I love these piggies, and can't wait until they cross the ocean and come to Calfornia! Those tails are so perfect, and I love all the prints you used -- so excited to get them!!! Thank you so much!! They are all delightful. 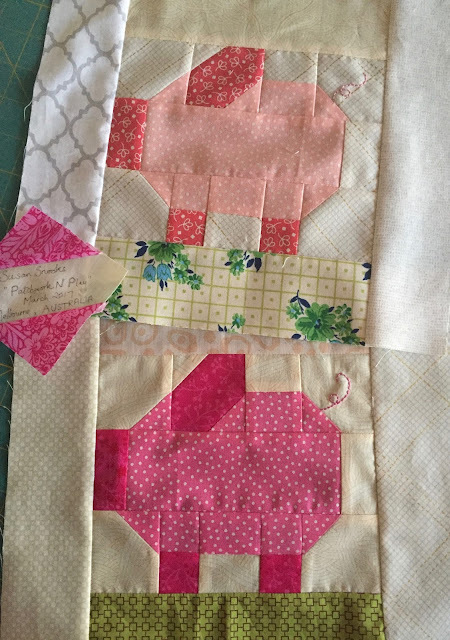 Your piecing is lovely. 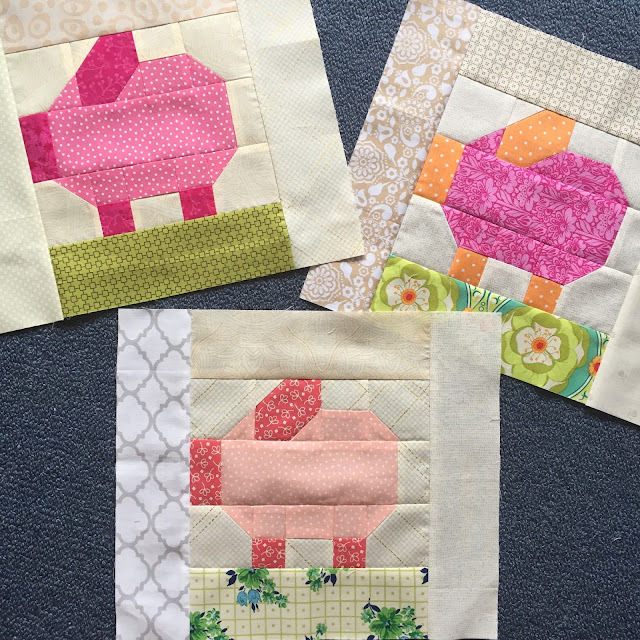 I can imagine what fun a quilt full of piglets would be! Hi Susan! I'm glad to see you're managing some sewing time though you're back to work. Little pigs and a pineapple made are better than no pigs or pineapple! Hope school camp isn't as awful as you expected!